Profit centers are organized in accordance with market segments, products and end buyers. 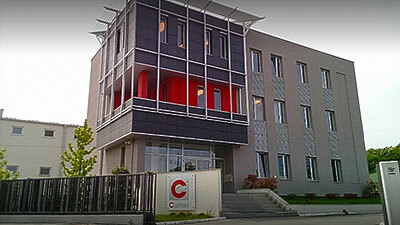 Our team of more than 30 employees is our strength which gives us significant advantage - there is a combination of our younger colleagues’ enthusiasm and our older colleagues’ rich experience which, accompanied by both theoretical and practical knowledge as well as close cooperation and communication, has been producing exceptional results for years. We believe that the most important part of achieving long-term growth and development perspective is to base business dealings on ethical principles, attitudes and beliefs, to create and maintain good business climate within the company, to build up the employees’ trust and achieve that a group of individuals thinks and works as one unit. Our motivation, source of ideas, support and strength lie in our employees. Our success lies in our mutual trust.